*Disclaimer: This list is only 5 popular Maya Ruins in Belize. This does not include caves or other archaeological sites. 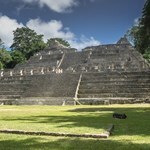 Belize is literally filled with Maya Archaeology Sites! 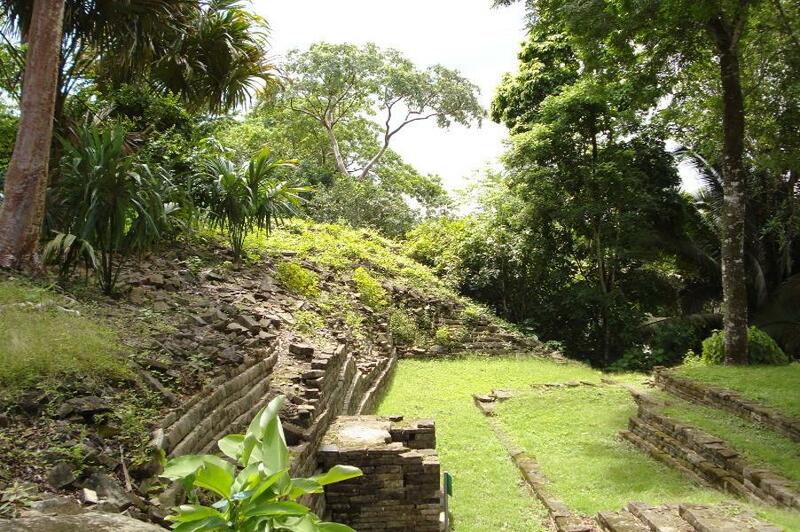 Whether it has been excavated or not, you can climb up a Maya Site in any district of Belize. Most of these sites are just a few miles away from any major town or city. They can also be located in a village. Although you can visit these sites on your own, it is recommended that you take along a guide or ask for a guide to get the most out of your tour. The guides, who you can hire from a tour company or at the site, are well trained with all the facts and stories about the Maya Ruin that will make your trip worthwhile. 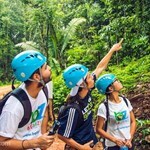 Tour guides in Belize must pass a rigorous examination each year to keep up to date with the knowledge for the tours they lead. Tip: Belizeans enter for free on Sundays and Public and Bank Holidays. Just make sure you have an official document to show your nationality. 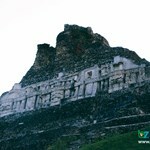 Xunantunich is one of my most favorite Maya Ruins to visit. 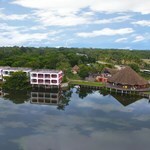 It is not too far from San Ignacio Town, about 7 miles, which makes it super accessible virtually anyone. From San Ignacio, you take a short 15-minute car ride to the village of San Jose Succotz to get there. To get to the actual site, you’d have to cross on the hand-cranked ferry, then drive or hike up a steep little hill. Once you’ve made it to the top of the hill, you’ll be greeted by the visitors’ center/collection booth and parking lot. After enjoying all the views and hiking, you might be a little hungry. No problemo amigo! Benny’s Kitchen will be glad to serve up a nice plate of rice and beans with stewed chicken and potato salad or their special local chicken soup. Gosh, thinking about their food makes me hungry too! The “Submerged Crocodile!” Lamanai was built in the Orange Walk District, right on the banks of the New River Lagoon. 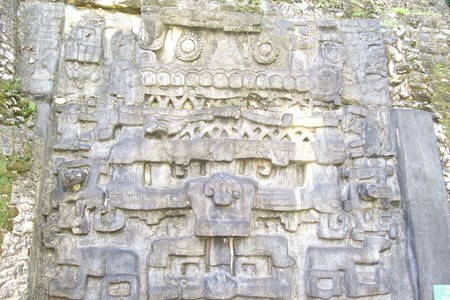 If you are planning to visit Lamanai, I’d advise you to get to the site via water taxi or boat. See the beauty that nature has to offer in such little space! You’d be amazed at the water birds, trees, mangroves and even crocodiles along the way! Yes, you’ll be able to spot a croc in the river! Too bad it’s a ‘No Petting’ zone. You also have the option of driving to the site through a dirt road of about 28 miles. 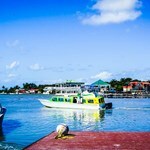 Traveling from Orange Walk, you'll be passing through the villages of of San Felipe and Shipyard. 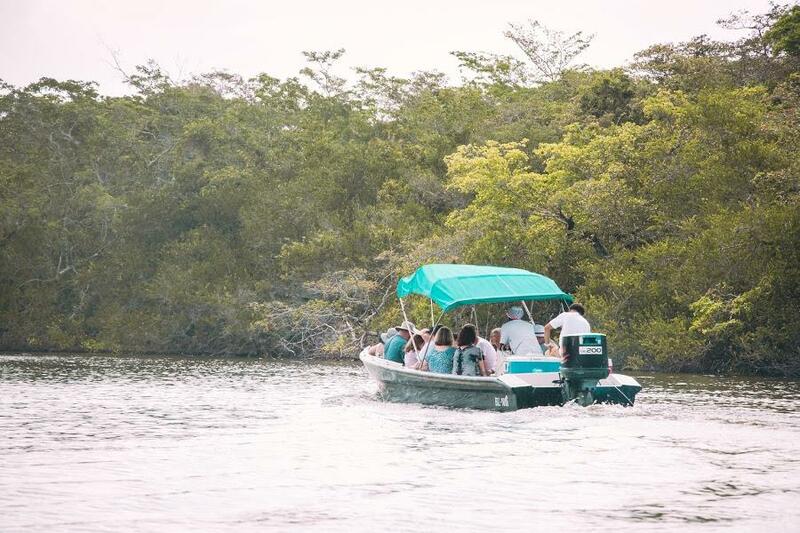 When your boat docks at the pier, you’ll be hiking up a little trail that leads you to the Maya Ruins. 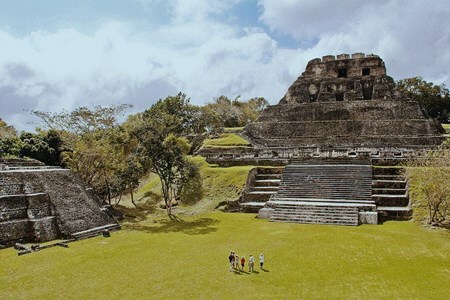 If you love the flora composition that exists in Belize, then you’ll love your visit at Lamanai. Why? Because you’ll be able to see Belize’s National Flower, The Black Orchid, and Belize’s National Tree, The Mahogany Tree. If you’d like to read about our trip at Lamanai, check out our blog here. 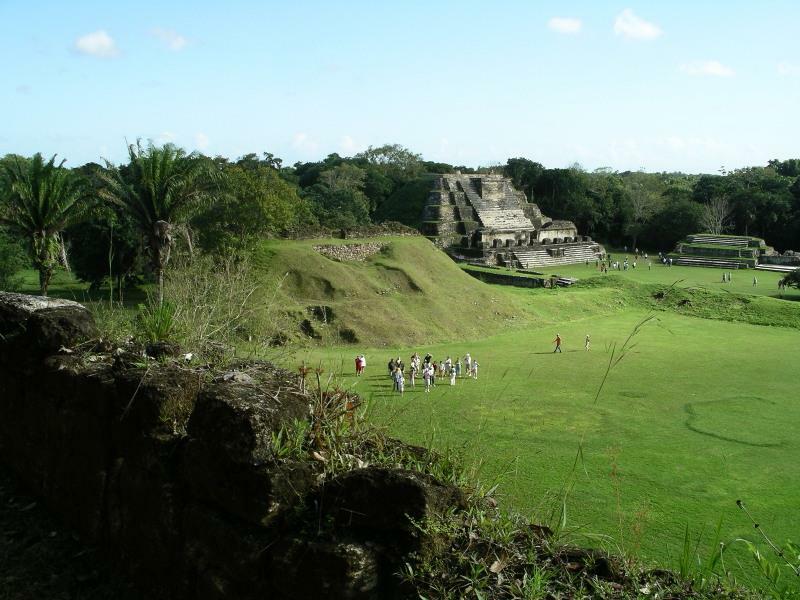 If you love views, you should definitely climb up the second temple at Lamanai! It is the tallest structure on the site. Make sure that you get a guide that will have you fascinated with the history and stories from the ancient Mayas that once lived on the site. 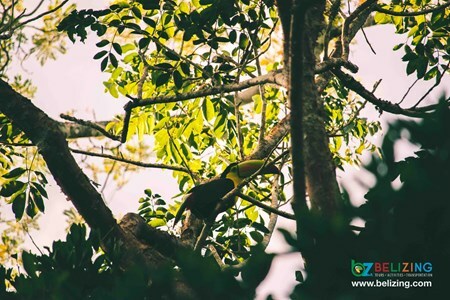 From there, you can overlook the canopy of tree branches and even spot a few birds if you’re into birdwatching – get those cameras ready, you might never know what kind of exotic Belizean birds you’ll get to see. If you’d like to know what kind of birds you’ll be able to spot in Belize, check out our 15 Beautiful Birds from Belize blog from our guest author, Patrick O’Donnell. Here’s a challenge for you! 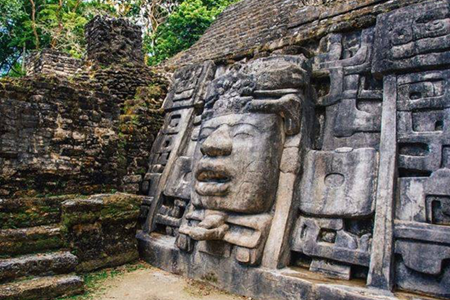 If you’ve been to Lamanai and have photographed yourself with the mask inside the mask temple, post it on Facebook and tag us at @gobelizing! 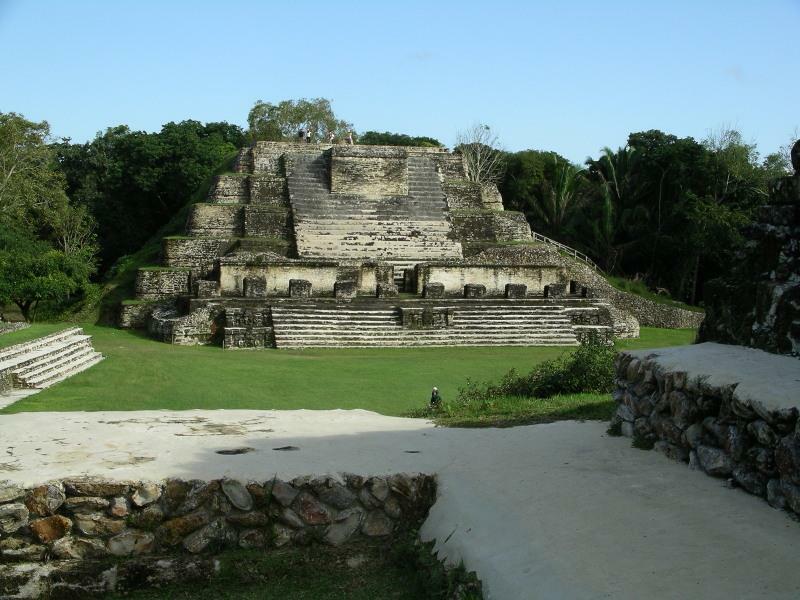 Altun Ha is one of more popular Maya Sites in the eastern part of Belize. 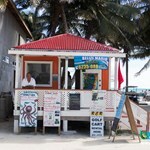 It is located about 31 miles north of the Ol’ Capital of Belize City. 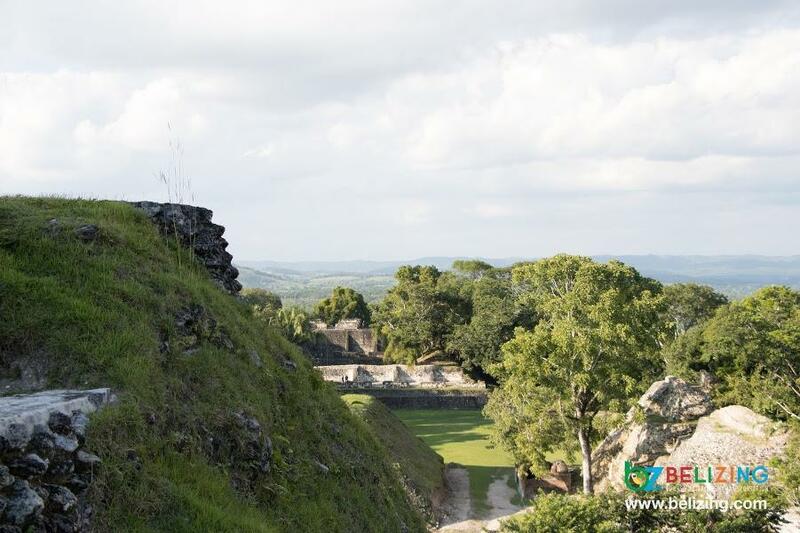 You’ll be traveling on the newly named, Philip Goldson Highway, previously named “Old Northern Highway.” Altun Ha is one of the more larger archaeological sites with two main plazas and 13 structures. As you will be able to see, it was a wealthy ceremonial center. The name “Altun Ha” translates to “Rock Stone Pond” after the large water reservoir on the site. I’m pretty sure that you’ll be having a blast exploring all the structures and learning the history of the site. You might be wondering, what’s there to learn from this Maya ruin that I haven’t learned from the other Maya ruins? Well, you’ll be surprised with the unique narratives that each site tells just from the architecture of the temples. 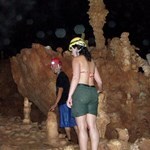 Another Maya Archaeological Site located in the Cayo District – the best is in the west, not just because it rhymes! Getting to Caracol is an adventure in itself. It is an approximate drive of 52 miles from San Ignacio Town. You’ll be traveling into the Chiquibul Forest Reserve, where you will be in awe of all the natural beauty and richness of Belize. 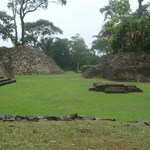 The once thriving Caracol was of great economic and political influence. 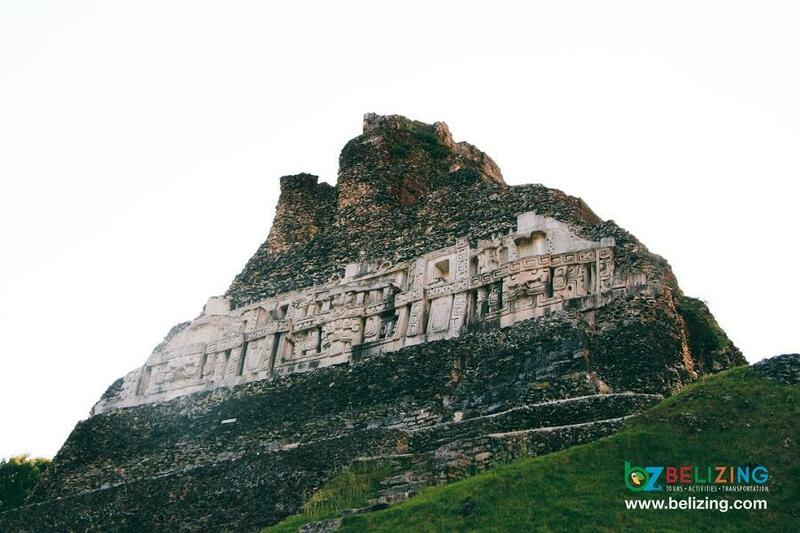 On the site, there is a massive structure named “Caana,” also known as the “Sky Place.” This impressive temple, as complex as it is, stands as the tallest human-made construction in Belize to this date. Amazing isn’t it! 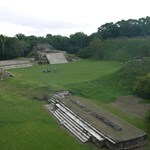 If you’ve already forgotten the name of this site, it is named “Caracol,” which translates to “Snail” in Spanish. Why it’s called “Snail?” Take a tour and ask your guide! 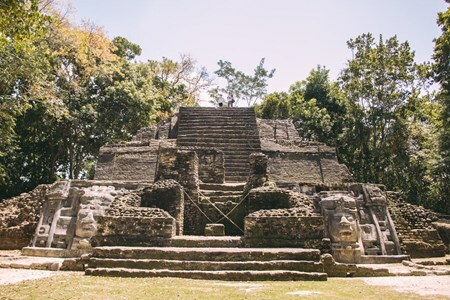 You’ve heard about all the other sites from Orange Walk, Belize City and Cayo; but, now it’s time to take a detour to the southern regions of Belize – Toledo. In Toledo, there are two sites on the map – Nim Li Punit and Lubaantun. It breaks my heart to choose one out of the two but I’m going to recommend you to visit Lubaantun. Wondering how to pronounce the name? Ask a local to say it in the local Creole accent and try repeating it. I’m sure you’ll have a laugh. 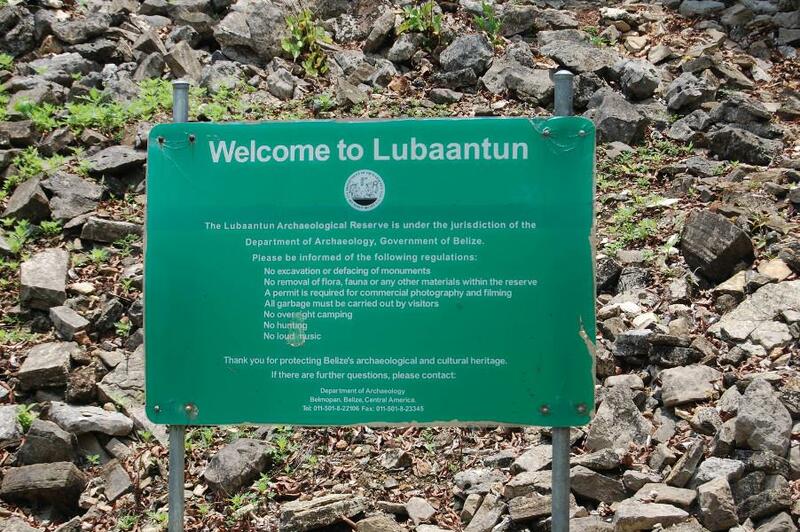 Lubaantun means the “Place of the Fallen Stones.” As described by the name, the buildings at the site is noted for the large stones that were placed on top of each other with no mortar to bind them together. Although they can be seen as a pile of loose rocks, the structures hold a picturesque appearance that will intrigue any visitor. This site is located about 20 miles from the southernmost town of Punta Gorda. 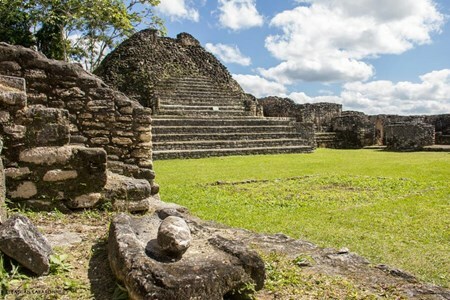 Well, that’s 5 popular Maya Archaeological Sites that are must-sees when visiting Belize! If you’ve been to these sites already, share your experiences with us through Facebook – make sure to tag us! Don’t be shy! We’d love to hear about your trip. 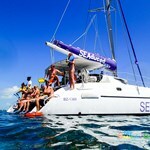 If you would like to know what other activities or places to visit in Belize, check out our Top Tours in Belize blog. 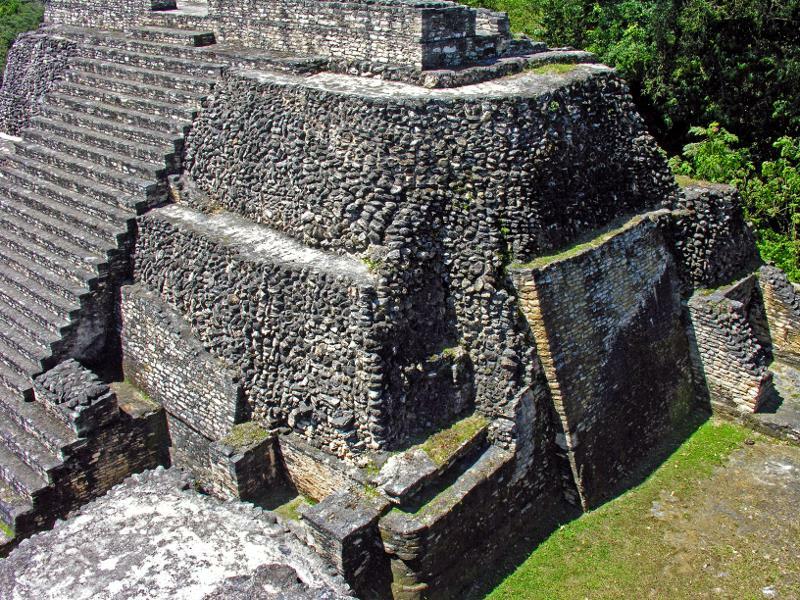 Here are the 10 Maya Archaeological Sites that have been excavated and are managed by the Belize Institute of Archaeology (IA) under the National Institute of Culture and History (NICH). There are also other archaeological sites, such as SAK-TUNICH Archeological Site and Marco Gonzalez Archaeological Site, that aren’t under the management of the Institute of Archaeology, but still worth a visit. 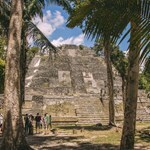 Altun Ha is located just 31 miles north of Belize City on a two-mile-long dirt road that connects the site to the Old Northern Highway. It covers an area of about five square miles ... moreand was once a major ceremonial and trading center. Once home to as many as 10,000 inhabitants over a 1,000 year-long period of occupation dating back as early as 200 BC, it was occupied as recently as the 10th century. Howler monkeys are found only in the rainforests of the Americas. 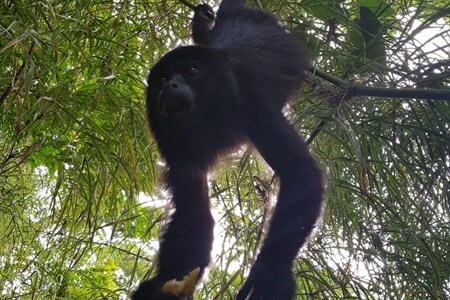 They are the largest monkey in Latin American rainforests growing as high as up to three feet tall when standing and weigh from eight to twenty-two pounds. They have big necks and lower jaws, where their super-sized vocal cords are housed. They live high in the trees and hang from branches by their tails. In order to mark their territory, the howlers make loud vocalizations. This mega city is located within the Chiquibul reserve just on the border with Guatemala. This city was once occupied with over one hundred thousand Mayan inhabitants and played a ... moremajor role in the hiatus of mighty Tikal. Take a walk through history, observe the mega structures left behind by our ancestors, a true testament of their knowledge in architecture and astronomy. This tour is usually accompanied with swimming at the Rio -on pools on the way back. THE MYSTERIES OF THE MAYA We begin our day winding through the Northern River where we encounter a rich variety of plants and indigenous animals. Once at Bomba Village you will have ... morea few minutes to browse the local woodcarving shops before boarding the private bus that will take us to Altun Ha. Once at the site our guide will give you an informative tour of the ruins. After you have worked up a healthy appetite exploring the ancient Maya site we head to Maruba Jungle Spa where you have time to have lunch on your own and book a spa treatment if you choose to. Note: Park fees are not included on Full Day Trips. 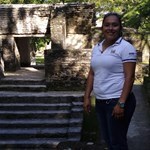 CARACOL MAYA TOUR Caracol, a major and dominant site in Mayan history, is an expansive city covering nearly 6 square miles and rivaling the ancient metropolis of Tikal in size, power, ... moreand riches. This is a fantastic site to visit, set high on the Vaca Plateau, in the heart of the Chiquibul Forest Reserve (a subtropical forest south of San Ignacio near the Guatemalan border). 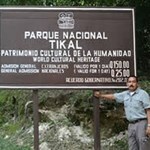 Caracol is accessed through the Mountain Pine Ridge, a beautiful area with flowing rivers and hidden limestone caves. After a 1.5 hour drive from San Ignacio up rough dirt roads, passing through small Mayan villages and scenic countryside we will arrive at the sprawling archaeological site of Caracol. Here you will learn about the anthropology, archaeology, and flora and fauna of the area, including rare and endangered wildlife such as Keel-billed Motmots, Tapirs, Jaguars, Oscillated Turkeys, Gibnut (the “Royal Rat”) and Coatimundis. Caracol was a huge population center at its peak, with over 150,000 inhabitants and 30,000 structures, including an astronomical observatory. It was the largest metropolis in the Mayan Lowlands during the Classic Period, built with elaborate city planning and complex agricultural systems. This site was hidden for many centuries by the trees in the tropical broadleaf forest. 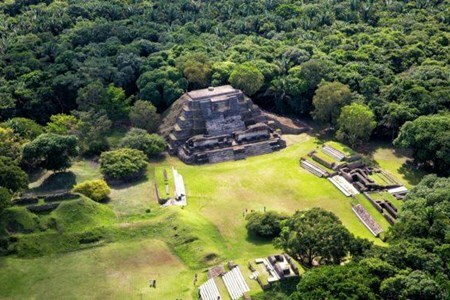 Today you might catch a glimpse of howler monkeys in the mammoth trees towering over the ancient Mayan ball courts and plazas. 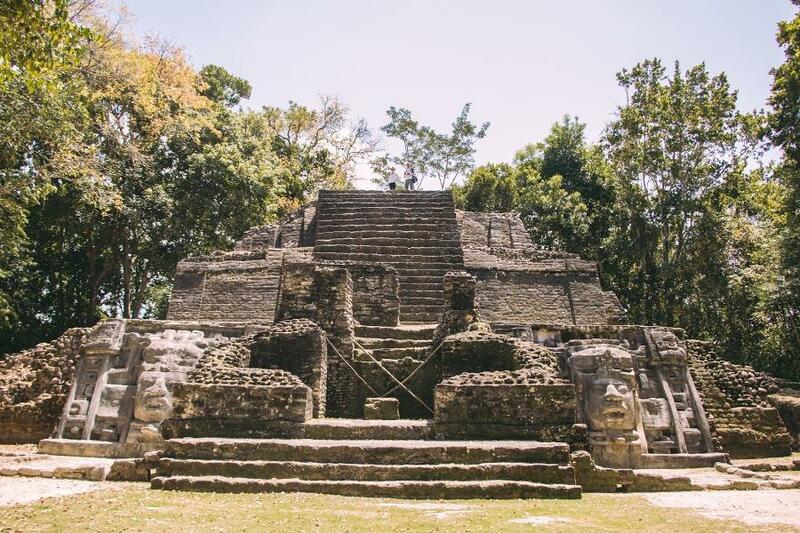 Revel at the engineering and architectural sophistication of the Mayan people as you climb the temple pyramid structure of Caana (Sky Temple), the highest man-made building in Belize to this day. Once at the top, nearly 135 feet above the courtyards below, you will get impressive panoramic views of Belize and neighboring Guatemala. 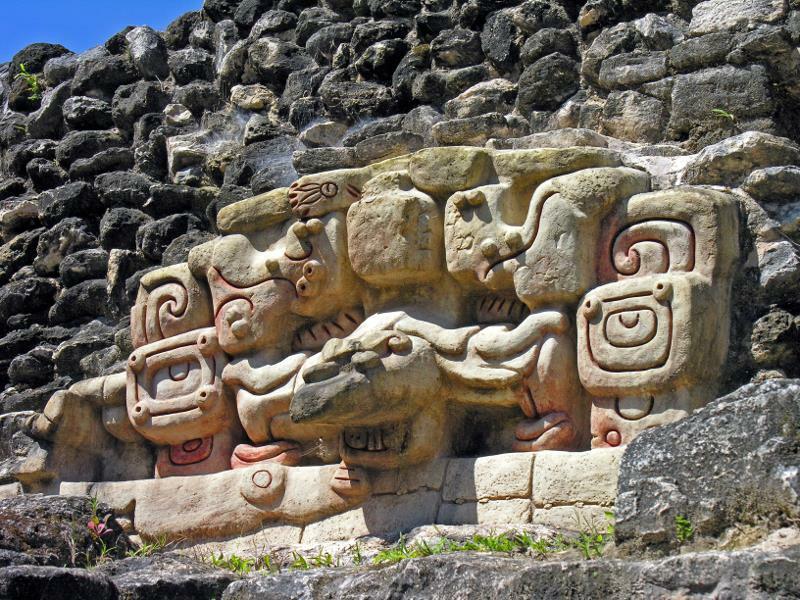 The history of the inhabitants of Caracol is documented by scribes of the past in hieroglyphics and carvings on the monuments, stelae, wall facades and altars that are found throughout the site. Caracol has a very unique history, different from other major ancient cities in the region, and your guide will illuminate the rich and complicated past of this glorious civilization with a fully guided tour of the excavated portions of the Caracol site. After touring the ruins, refresh yourself with drinks and a picnic lunch. We then continue back through the Pine Ridge area where we take a break at the Rio On Pools, a series of natural swimming holes, to cool down and relax in the clear water. 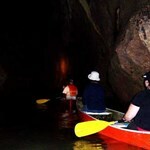 We will also visit the Rio Frio Cave, which has the largest entrance of any cave in Belize.